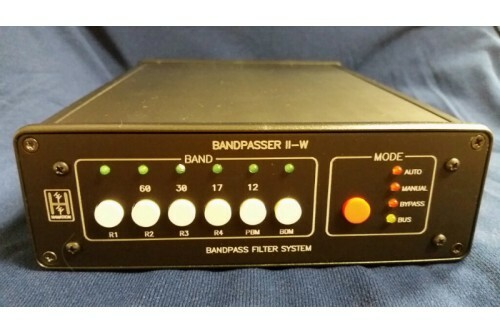 Bandpasser II- for WARC bands - Four WARC bands filters in a box. 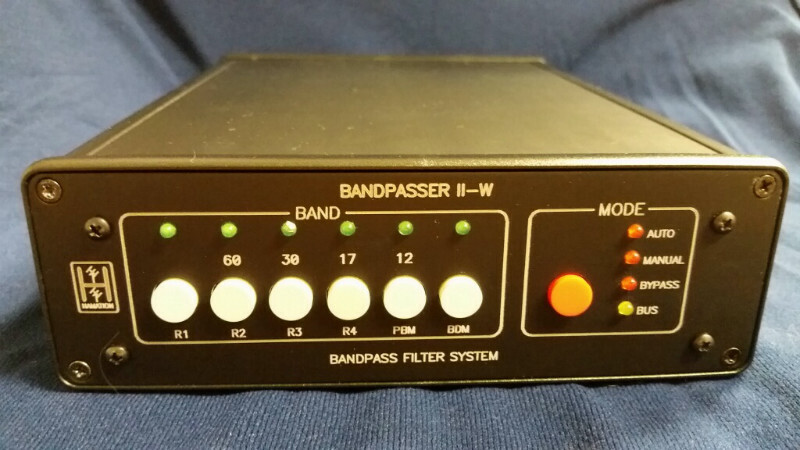 Wires in series with your original Bandpasser, BandPasser II or FilterMax to give you all band coverage from 160 through 10m including the WARC bands! Fully automatic filter selection with our BandMaster band decoders or with our Integrated 8-Pak and 4x8-Pak controllers. 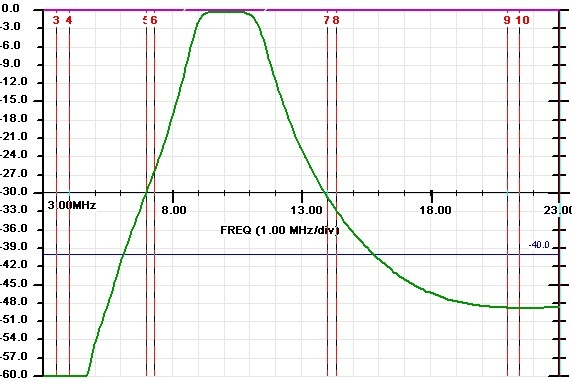 In "per-band-mode", discrete bpf selection with other sourcing band decoders is supported. In "band-data mode" it is fully compatible with Yaesu BCD band data - and ideal for the Elecraft K3! 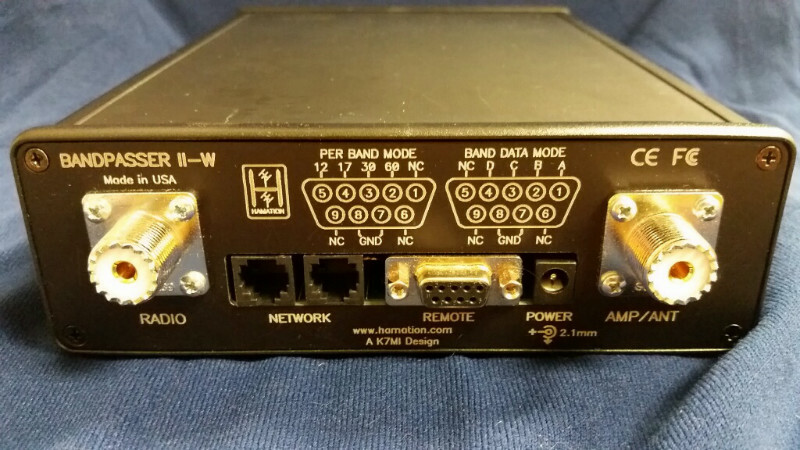 No band decoder needed for automatic band selection! 12 m BPF insertion loss (S21) plot. 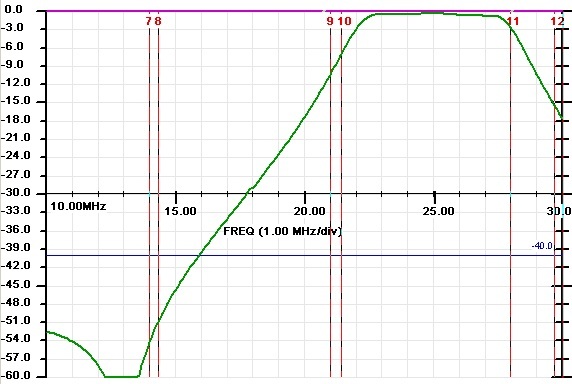 17 m BPF insertion loss (S21) plot. 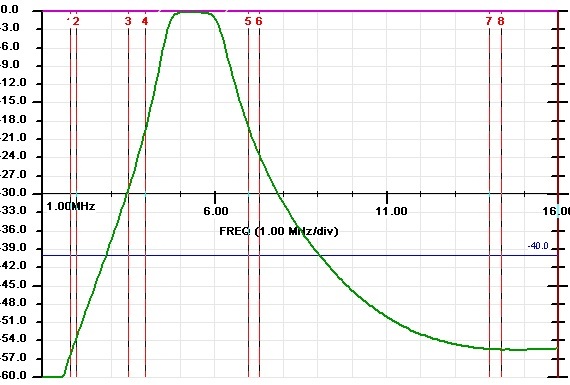 30 m BPF insertion loss (S21) plot. 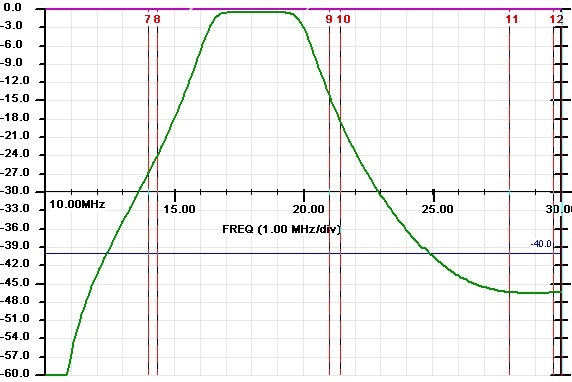 60 m BPF insertion loss (S21) plot.